Hex Gambit Leaves Early Access October 15th! After a successful Kickstarter campaign in August of 2017 and half a year of hard work in Early Access, our competitive turn-based strategy game, Hex Gambit, is finally ready for its official Steam launch! Early Access saw the addition of two minion classes, league play with a community-wide turf war, and the Blitz Royale, our single player challenge mode. We hope you’re as pumped as we are for this massive milestone! Mark your calendars for October 15th and come be a part of the new Hex Gambit community. You could even grab your copy while we’re still in Early Access and start practicing today. We know that many of you are waiting for the Nintendo Switch™ version of Hex Gambit, which is currently in development and estimated for a Q1 2019 release. More updates will be coming on that once we have our PC release squared away. Thank you for your patience! 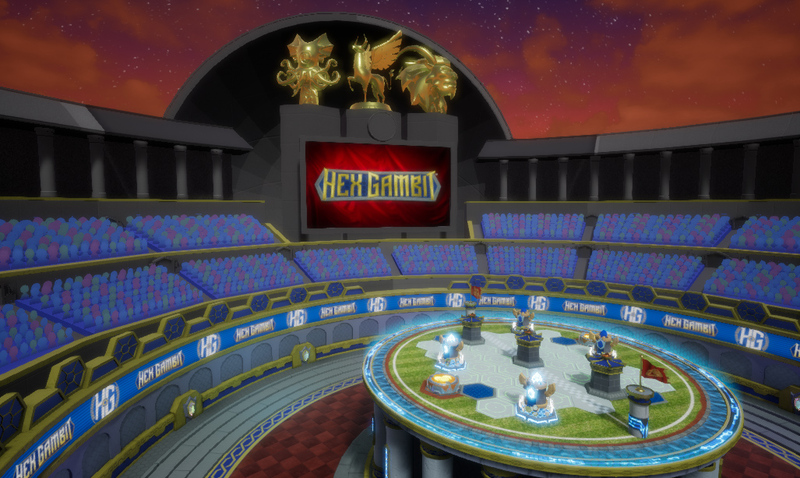 I’ll probably make some minor tweaks before launch, but I deem this Hex Gambit stadium trailer-ready. Time to capture some footage! 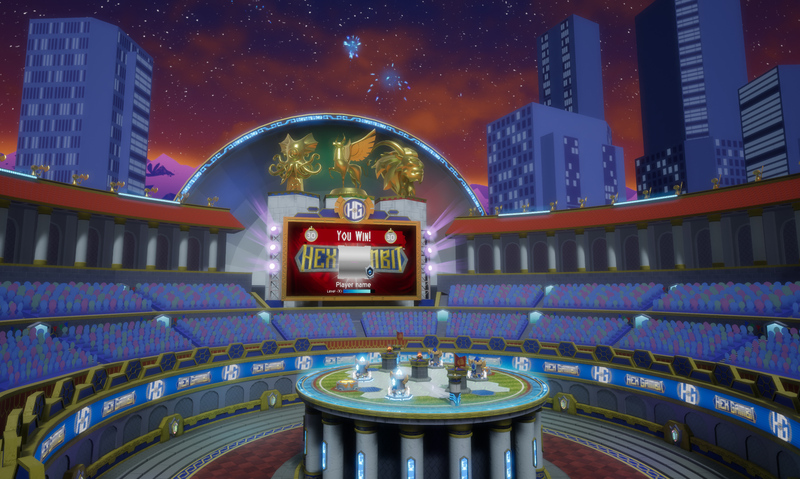 Not finished yet, but it requires a lot less imagination to see where the new Hex Gambit stadium is headed! 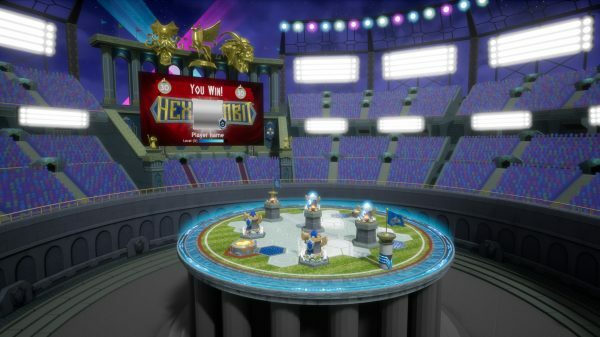 The big screen and the pillars on the game board have some odd-looking states when the game isn’t running, but you get the idea. I’m feverishly polishing things up all over the game while I work on a launch trailer for the next few weeks. 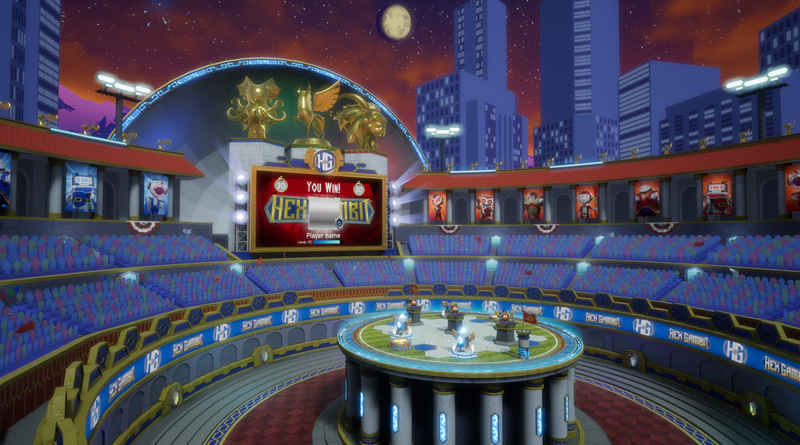 Here’s another peek at my progress on the new, more impressive Hex Gambit stadium. This isn’t even its final form!